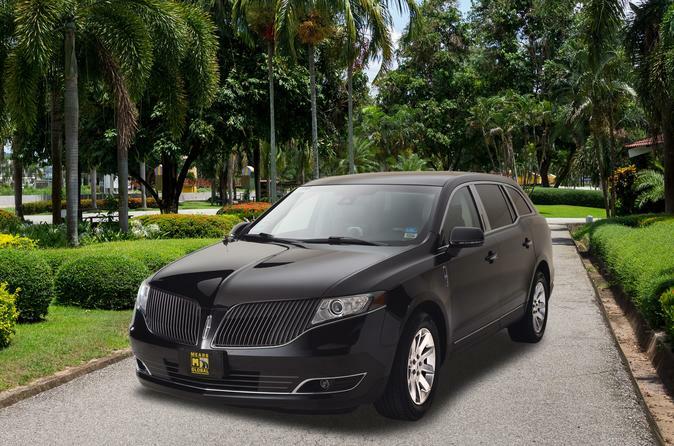 Private transfers provide a terrific way to get between the airport and your hotel, or from the airport to the cruise port. Upon arrival at the airport, your chauffeur will be waiting for you outside the terminal on one of the traffic islands. Once you collect your luggage, exit the doors of baggage claim and cross the street to the last island. Your chauffeur will have an airport sign with your name on it or it will be in the window of the vehicle. Once you have boarded the vehicle, provide the chauffeur with your hotel name and address or your cruise line and ship name details.